Scheduling the posts you make on your online social networks can be a very useful thing if you are running a brand or company account. While such scheduling tools are easily available for Facebook and Twitter, Google+ is another story. 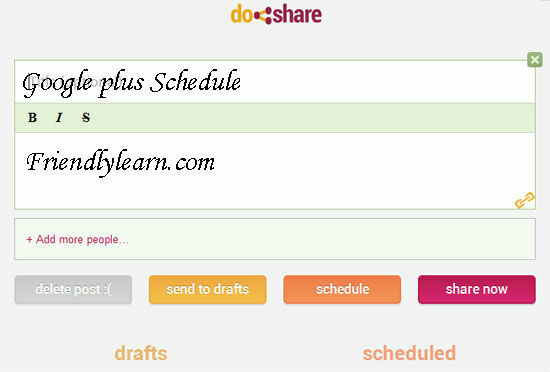 Thankfully you can easily schedule posts for Google+ using a service called Do Share.